Spreading, forming a cushion of foliage and flowers. Year round foliage with flowers from late spring into summer. Happy on any soil type except clay, including poor quality soils, and prefers a pH from neutral to alkaline. Can be used in exposed or sheltered sites of any aspect. An evergreen sub-shrub which forms mounds of small, narrow, dark green foliage. 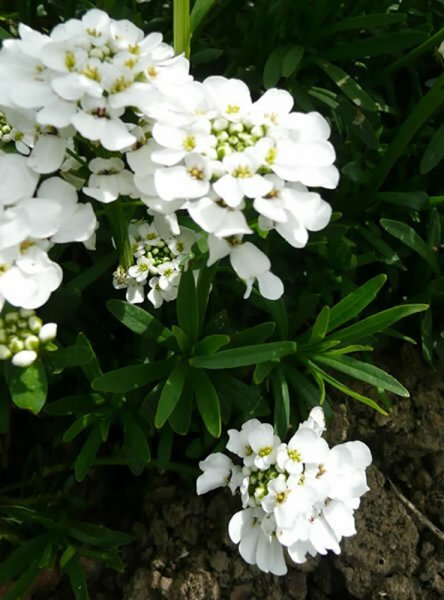 From late spring it produces clusters of white flowers; the clusters are initially flat, then become more rounded. Great for beds and borders, especially as edging and ground cover. Also works well in rock or gravel gardens, in wall crevices and in containers. Requires little maintenance except the annual pruning described below. Be careful not to overwater it. Prune it lightly after flowering to keep it in a compact form. Can be hard pruned if it becomes too spread out. Deadheading the first flush of flowers may also encourage a second flush later in the summer. Seeds can be collected in mid to late summer and sown in a cold frame in autumn. Alternatively, take semi-ripe stem cuttings in midsummer or use simple layering in spring or summer. Often munched on by slugs, snails and caterpillars. It is generally disease free. This plant may spread invasively, particularly by layering wherever a stem touches the ground. 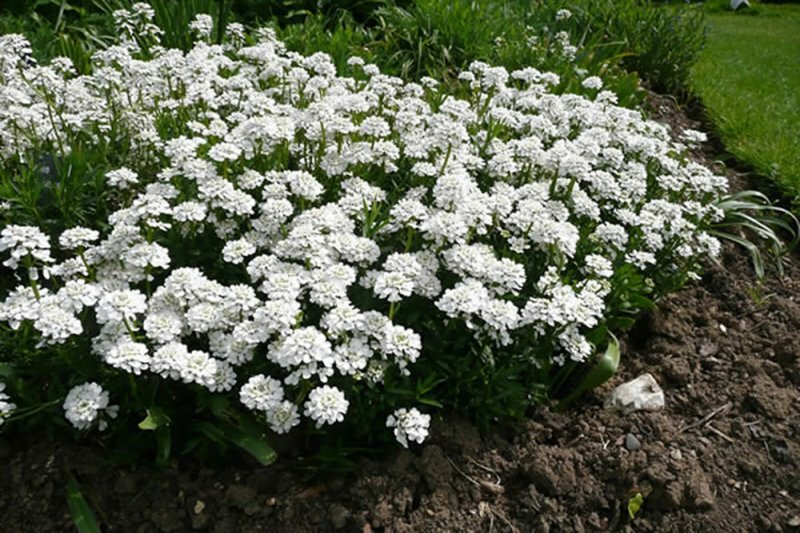 The genus name ‘Iberis‘ reflects this plant’s Mediterranean origins, taking its name from the Iberian peninsula of Spain and Portugal.